Any mother who watches as her children consistently fight knows the meaning of conflict and recognises the need to build peace – even on a small, individual, often internal scale. Fatima is no different. In fact, we’ve already shared part of her story with you – just from the perspective of her daughter, Salma. This time, it’s from a mother’s perspective that we have the opportunity to understand how peace can be built at any level, on any scale, by anyone. Peace building is something we often look at only on a “macro” scale. Even when we’re working from the grassroots, engaging with individuals and groups at a community level, the challenges we come up against are often widespread and indicative of a more systemic challenge. Broad discrimination based on race, ethnicity, tribe, religion, socioeconomic class, or any other deep-seated and identity-centric factor tends to take the spotlight when it comes to building peace on both a local and global scale. This, of course, is not surprising, since these sorts of issues tend to scale to impact larger communities, countries, and even regions. They impact those directly engaged in resulting conflict and many that might even be only on the peripheral of the context. But while the reach of the effects of these forms of discrimination are of key importance when seeking to build peace today and for future generations, there is more to peace building than those conflicts that are most obviously far-reaching. 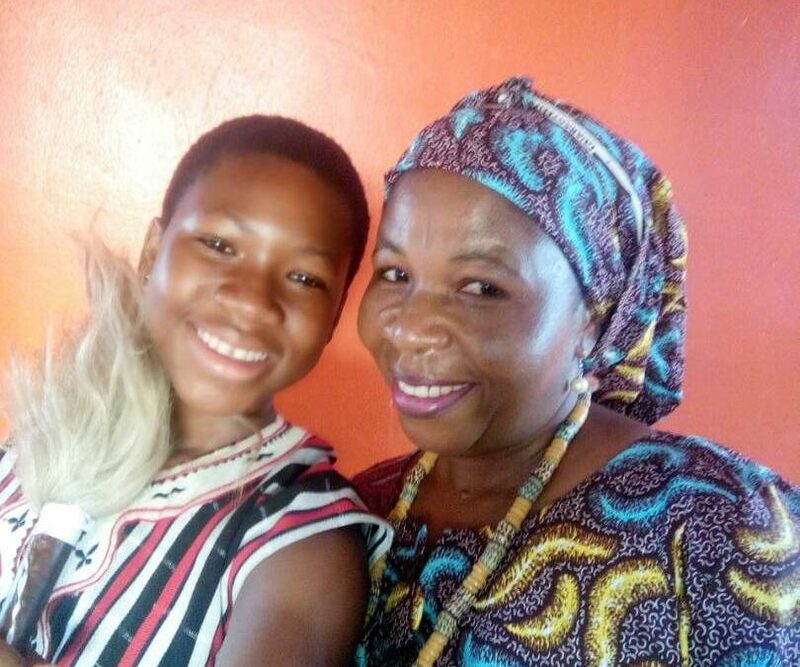 A few months ago, we shared with you the story of Salma, a young Ghanaian girl who became involved in Generations For Peace Programmes at her school in the country’s capital of Accra. Since then, she has continued leading her classmates, influencing those around her to bring peace to their school and their communities back home, and has even had the opportunity to meet one of her heroes, Nana Aba Anamoah, a Ghanaian journalist and radio/television host. Salma, though she has come up against many of the common challenges facing young Ghanaian women – including low rates of female literacy, high rates of female student drop-outs, and fewer opportunities for female employment – hints at a story that is more personal and internal than these topics. And where she hints, her mother, Fatima, shines a bright light to illuminate the behavioural change she has seen in her daughter since she first became involved with peace building and Generations For Peace. Fatima remembers years of bickering and fighting breaking out between her two daughters, but now, these actions are no longer a reality, but instead a memory from the past. As Salma has become more and more deeply involved in peace-building activities at her school, her mother has watched as she has begun to develop and transform conflict like never before. Simple outward actions such as a mere apology can often indicate massive growth and transformation inside some like Salma, who had spent much of her life prone to conflict. It seems the Sport For Peace Programme in which Salma has been participating was teaching her valuable skills that were transferring from the field or the court to her everyday life. Teamwork, communication, responsibility, respect – these are all things that sport-based activities can teach youth around the world, facing an array of violent conflicts (whether personal or systemic). And they are all things that Fatima has seen Salma begin to embrace, slowly but surely, as she moves through her education. Salma, according to her mother, is now sociable, tolerant, and hard-working. The transformation she has witnessed taking place in her young daughter inspires her and brings her hope for her home and her community, on the whole. Sign up to our e-newsletter to learn more about the impact of our programmes in the Middle East, Africa, Asia, and Europe.